The Web Client is a web application which lets users access the system from a web browser. 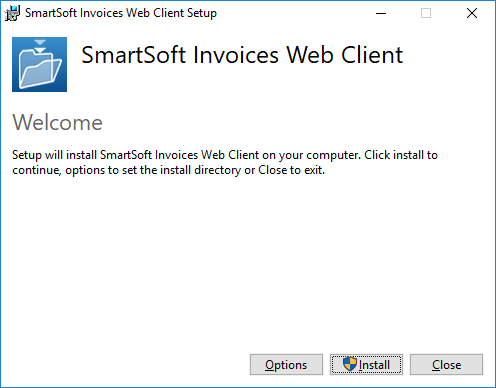 Start the SmartSoft Invoices Web Client.exe setup wizard and follow the steps. Click Options to set installation parameters. Install Folder: The web application will be installed here. Database connection string: The web application needs access to the application database to show user reports. For Windows Authentication mode make sure the IIS Service user is added as a login in SQL Management Studio. The IIS Service (World Wide Web Publishing Service - W3SVC) usually runs under Local System - check that in the Windows Services applet. For named SQL Server instances provide the instance name, e.g. Data Source = .\SQLEXPRESS. For default instances you can provide the server name or address, e.g. 127.0.0.1. SQL Server Express is installed by default as a named instance and SQL Server is installed as a default instance. The setup installs RabbitMQ (message broker software), Erlang (required by RabbitMQ), enables .NET 4.5 and the necessary Windows features. Enables IIS, creates a website and configures its application pool. 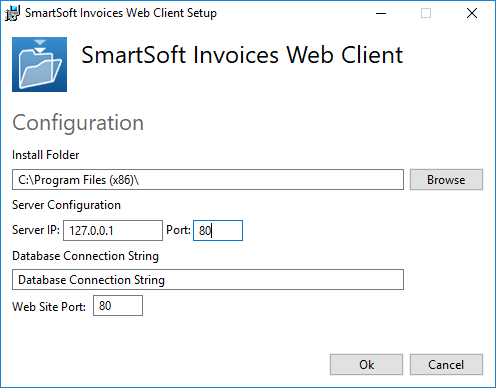 If you already have a Default Web Site configured on port 80 in IIS you’ll need to stop it and start the new SmartSoft Invoices Web Site. In IIS select Default Web Site and in the Actions pane click Stop. 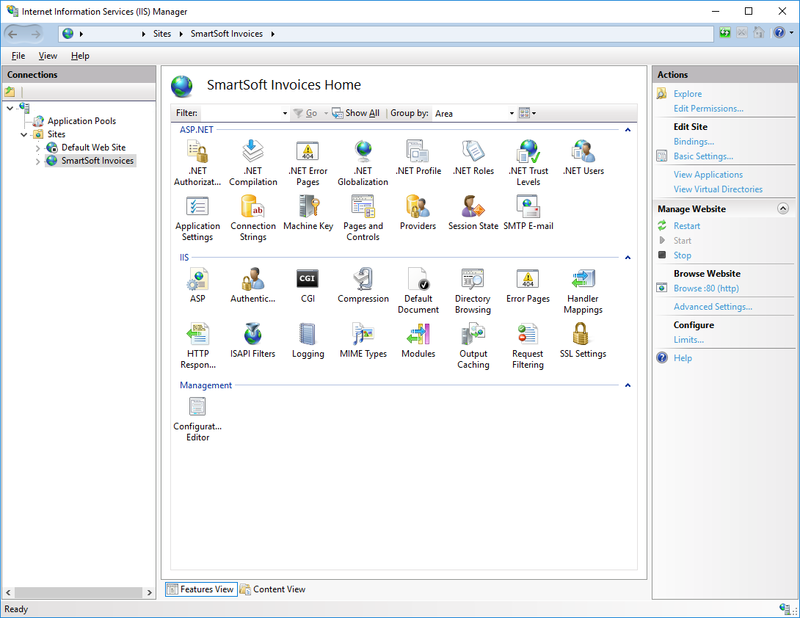 Then select SmartSoft Invoices Web Site and in the Actions pane click Start. Alternatively configure the ports accordingly.